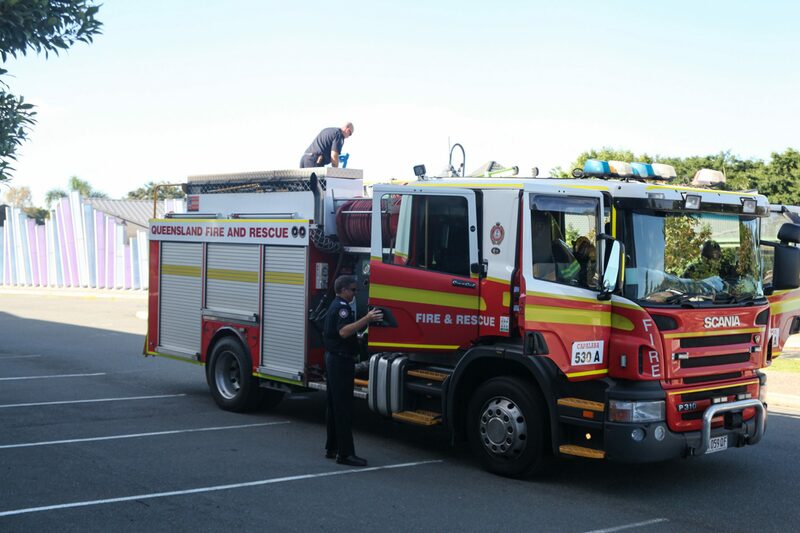 A Crew from the Capalaba Fire Service answered the call to visit Year 6 students at Sheldon College this week. 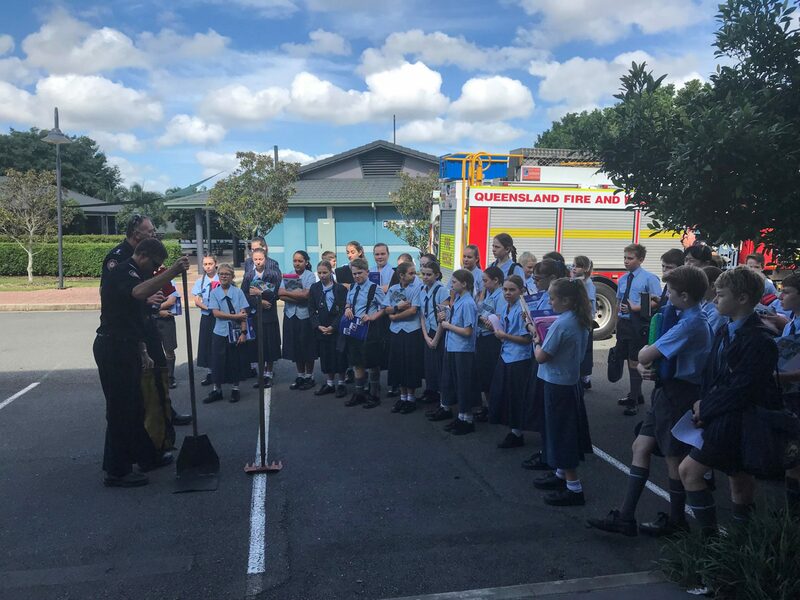 Students were excited to welcome members of the Capalaba Fire Service and to learn about natural disasters and how to be prepared for such events. The crew was very generous with their time and provided a lecture which linked directly to the Middle College students unit of study in natural disasters, and more specifically on dwelling designs. 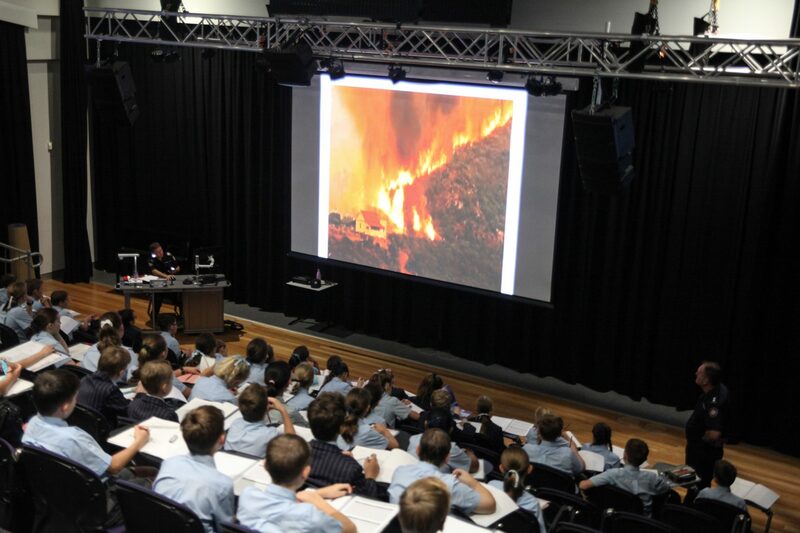 Information presented to the students by the Crew will serve to help students make informed design choices for dwelling designs, based on information collected by the Fire Service from people who have been displaced from their homes as a result of a natural disaster. 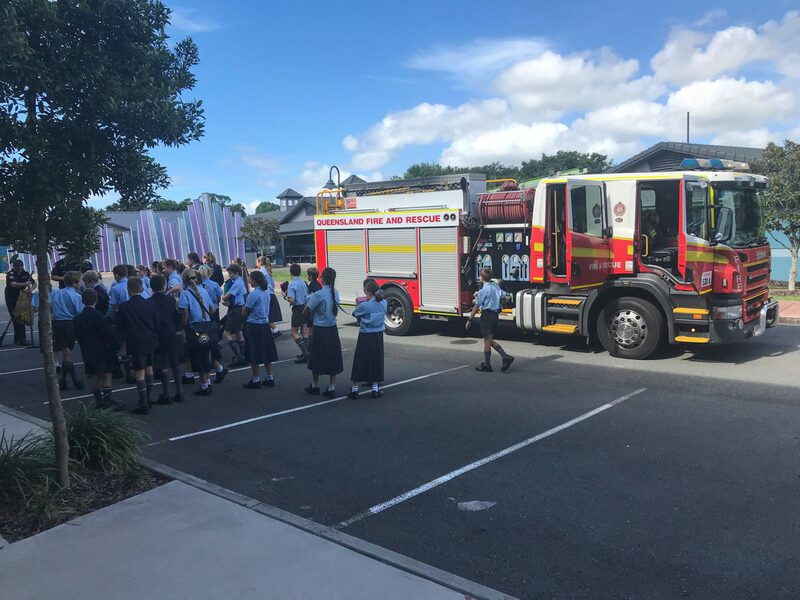 The visit to Sheldon College wasn’t the only thing on the Capalaba Fire Services’ radar on the day, as the Crew had to rush off to a real-life call out during the lecture they were presenting and returned later in the day to complete their presentation to students. Thank you Capalaba Fire Service and keep up the great work!